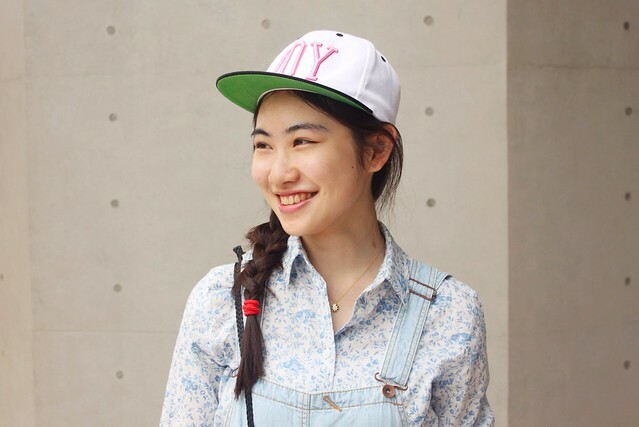 林紋年 is a 20 years old student and she was walking with a friend around the Songshan Cultural Park when I spotted her. 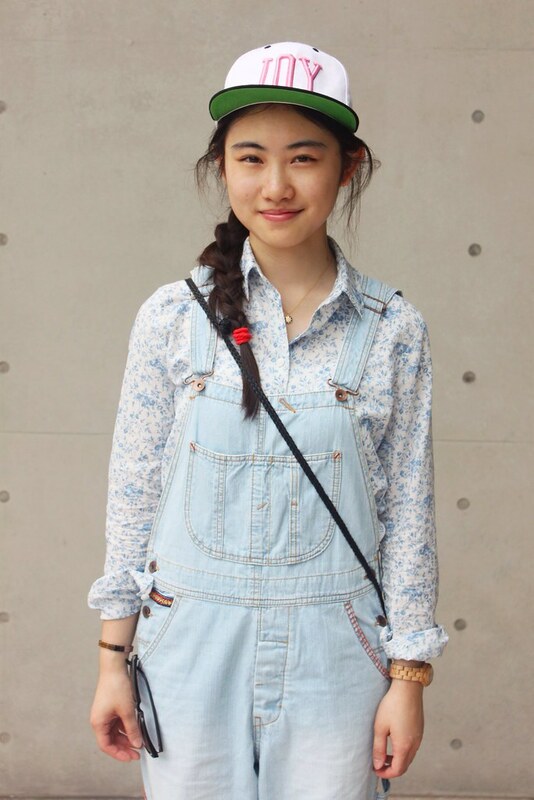 She was wearing a floral shirt under a light denim overalls rolled at the ankles, and silver TOMS. 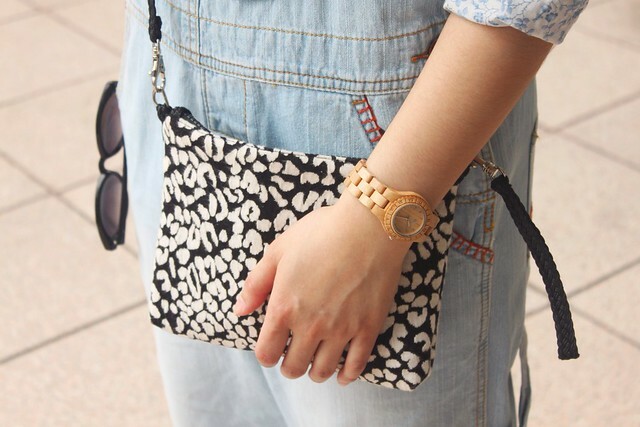 Her complements were a Joy cap, a golden necklace, a black and white printed purse, a wooden watch, a bracelet and sunglasses, which were hanging on one of the overalls’ pockets.